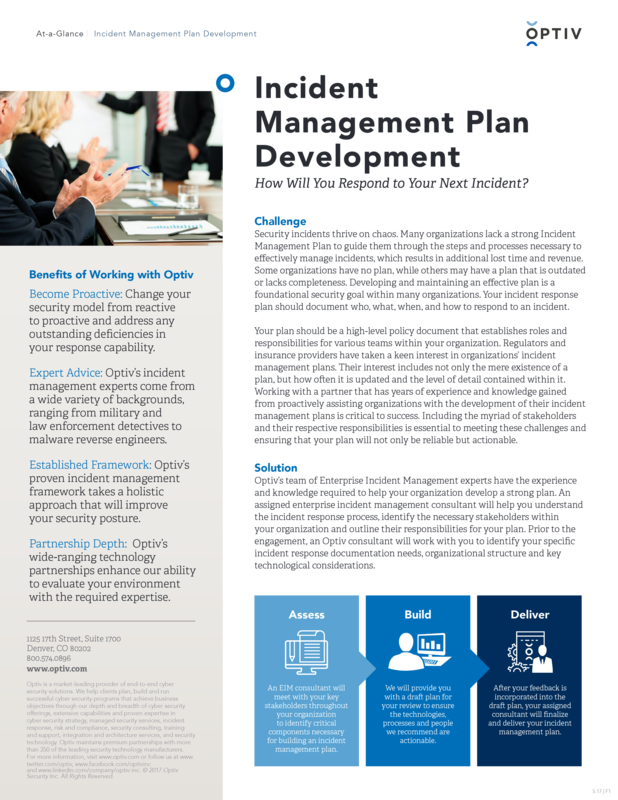 Developing and maintaining an effective incident management plan is a foundational security goal for many organizations. Your incident response plan should document who, what, when, and how to respond to an incident. Building upon years of experience managing incidents, Optiv’s consultants will develop a custom incident management plan that enables you to begin effectively managing incidents with confidence.